In addition to increasing demand for and quality of maternal and neonatal care, VillageReach also worked with the Kwitanda community to design and launch Chipatala cha pa Foni (CCPF), a health and nutrition hotline that is now extending access to the health system throughout the entire country. VillageReach and MaiKhanda commit to a seamless transition process, working together to ensure the continued implementation of high-quality maternal, neonatal, and child health interventions in Kwitanda. Both organizations have and will continue to collaborate with the Ministry of Health, Balaka District Health Management Team, District Executive Committee, Health Surveillance Assistants, KCHP staff, community leaders and partners. The transition process began in December and is expected to be completed by the end of April 2019. VillageReach will continue working with communities, the Ministry of Health and other partners in Malawi to develop new innovations and build programs that support the delivery of improved health services throughout the country. VillageReach works with governments to solve health care delivery challenges in low-resource communities. Our programs focus on increasing access to quality health care at the last mile, or the point at which services are delivered. We develop and implement new ideas and approaches to ensure vaccines and medicines are available, increase the capacity of health workers and ensure they have access to data to improve health. Our work improves the lives of more than 20 million people in sub-Saharan Africa. MaiKhanda Trust is a Malawian non-governmental and non-profit organization that works with the Ministry of Health, partners and stakeholders in maternal and neonatal health service delivery with the primary mission to save the lives of mothers and their babies by supporting the efforts to improve health care both in communities and at health facilities. With Malawi’s plan to achieve Universal Health Coverage, MaiKhanda’s approach is one of the best to increase community participation and improve quality of care at facility level. MaiKhanda has a presence in nearly half of the districts in Malawi. JBJ Foundation (JBJF) seeks to catalyze lasting improvements in the lives of the world’s poorest through targeted investments delivering cost-effective, scalable, and sustainable system change. 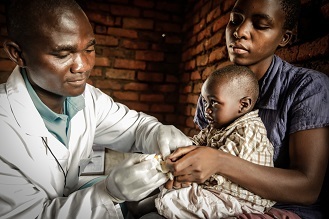 Building on its long-standing focus on health in Malawi, JBJF is exploring additional sectors such as nutrition and education as it expands to other countries in Sub-Saharan Africa.